So it seems people are pretty riled up about my post on manhwa thanks to Melinda Beasi mentioning it in her most recent Manhwa Monday post. Understandable. I am not saying that ironically. I can see where everyone who found my post offensive is coming from. I was pretty off-the-mark on that one. Let me just say, I am really sorry for being so wrong. This paragraph in particular got some people riled up. 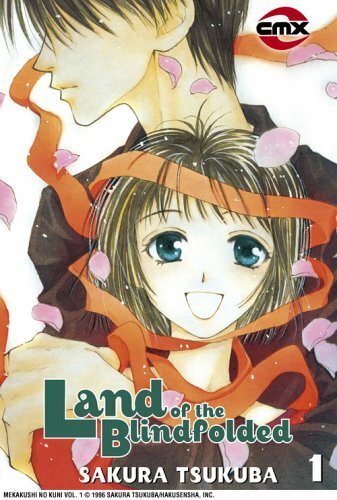 Basically, I was kind of a purist when U.S. publishers began releasing manhwa. I read manga and only manga. […] Manhwa was, in my eyes, a cheap imitation. But I want it to be clear that this was my former view of manhwa; my view of it when I was 15 and Tokyopop first put I.N.V.U. out on bookstore shelves. That was in 2003. Now, I’ve recently developed a strong interest in Korean culture after I was able to visit the country for the first time. I want to learn Korean soon and if anyone wants to show me where some good manhwa scanlations are, I will gladly go read as much as I can over my Thanksgiving break. Another thing that was found offensive was my view that manhwa is kind of shallow. I only find it to be shallow because, in what I’ve read, everyone bickers with each other. As I talked about in my post, I’ve got strong negative feelings about meaningless bickering. Therefore, manhwa with lots of bickering is shallow to me. So is any manga, manhua and any other form of comics with lots of bickering, but I’ve found it to be less prominent in those types of comics than in manhwa that I’ve read. Again, I would love to read manhwa that shatters this narrow stereotype I’ve got. I’m clearly missing out according to troisroyaumes’ post about my post. Although troisroyaumes assumed some things about me that are wrong, they’ve got a REALLY strong point, especially about mostly sunjeong and boys’ love titles being published here in the U.S.
I’d really like to apologize for how my thoughts on manhwa came off. My only excuses are that I’m young, pretty new to this blogging game (I started this blog in September for one of my classes) and that the post in question was pretty much me writing down what came spilling out of my mind at the time. I should have done more research and I will in the future. This has been a pretty valuable learning experience for me. I have to thank Melinda Beasi for that, since she’s the one who let everyone know about my post. That being said, PLEASE let me know how you feel about my posts on this subject matter. Let me really have it if you feel like it. I want your criticism. I would like to let you all know that in no way do I begrudge any of you who have said negative things about me. I think it would be detrimental to me to hold it against anyone since not only am I wrong, but everyone who’s talked about me is mostly right. (Other than what’s been assumed, but I won’t hold that against anyone because it’s not like we know each other.) This blog is really a learning experience for me and I’m learning a lot. All of my readers and my detractors should think of themselves as aiding me along with this. I’m grateful. Thank you. There’s a phrase I’ve been hearing a lot in the manga industry that actually bothers me quite a bit. It goes: Girls will read stuff for guys, but guys won’t read stuff for girls. There’s actually a fair amount of financial proof that not a lot of guys read stuff written for girls and girls read stuff originally written for a male audience, but I don’t have direct access to that kind of information and that’s not my point. My point is that there’s some stuff that is “meant for girls” that could have a much wider appeal if marketed properly, so why don’t comic book publishing companies take that route? I’ll explain further: Sure, there are plenty of comics (especially manga) that are clearly of no interest to most guys. A lot of shojo and josei manga are really just about light-fluffy romance and girls obsessing over stuff that most guys wouldn’t want to understand, let alone enjoy reading about. That said, there’s plenty of really awesome titles that are billed as shojo or josei, but could almost be gender-neutral. Example one: Basara by Yumi Tamura, published by Viz under their shojo line. Why didn’t Viz bother to publish under a more universal line if Basara had the potential to sell well with girls AND boys? To be honest, Shogakukan billed Basara as shojo, serialized it in Betsucomi (a shojo manga magazine) and Viz probably just rode that wave. If I was a Viz editor or someone else involved in that decision-making process, I would have shoved it into their signature line because Basara has that potential to sell well to both genders. After all, it was pretty well-received by critics when it was released. Since I decided to pick it up, I haven’t heard a fan, male or female, say a bad thing about it either. But while some fans are less discerning about their picks, most male fans are just going to see the shojo logo on the spine of the books and turn the other direction. It’s probably very easy to point the finger at Japanese publishers sticking to their slightly more sexist, but more accepted societal norms, but that does not mean U.S. publishers have to blindly follow them. 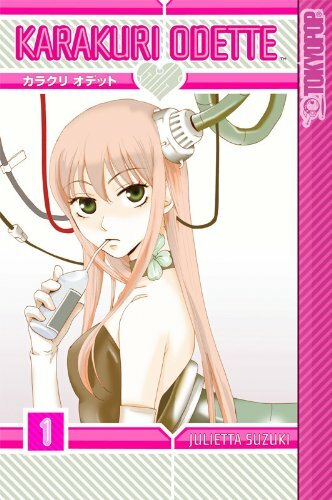 Going from Basara to something more recent, a Tokyopop release by Julietta Suzuki called Karakuri Odette, which I copy-edited as an intern for them. While it’s more likely to be categorized as shojo for many reasons, Karakuri Odette also doesn’t focus on typical shojo plots. 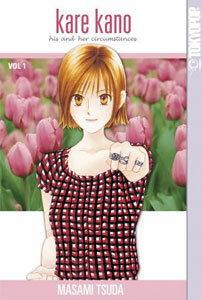 Tokyopop even labeled it as a comedy series and it was billed as an a-typical shojo by critics. Yet, the cover design is hot pink and accented with hearts. 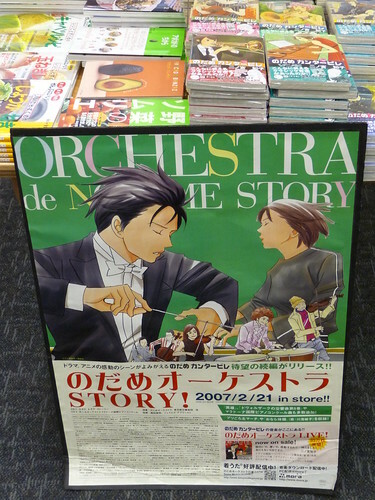 Not to stereotype, but most male manga fans aren’t going to pick that up at a bookstore unless they’re shopping for their girlfriend’s Christmas gift. If the cover had been mostly green, which is an accent color on Tokyopop’s cover design, it would have faired much better with dudes just picking it up and seeing if it was anything they wanted to read. I’m no expert at marketing (although I find it and advertising to be really fun, I almost wish I’d gone into PR instead of journalism,) but I feel like such niche targeting is detrimental to some series. I know when I was younger, I wouldn’t have touched shounen or seinen series because I totally thought they were all like Naruto, which I dislike, and not very good. Still, I was curious and if someone had put something out there without making it look like it was shojo or shounen, I would have probably gone for it and tried to read more series like it. I probably would have been more willing to pick up something different than pure shojo fluff. I’m not saying the industry has to change how they categorize everything, I’m just saying that we could make SOME series gender-neutral where it fits and start lifting the stereotypes of shojo being JUST for girls and vice-versa. Baka-Updates Manga’s genre site -This site goes into how they define each genre, which includes shojo, shounen, etc as well as regular genres. Why Can’t Female Leads Be Happy Without A Boyfriend? -An article about the difference between comics and manga as well as shojo and shounen. But we had to do a video for one of my classes and this is what happened. I didn’t really know it was going to be so poor in quality though, I am kind of disappointed in that. (And in iMovie for not letting me do various things.) My apologies for that… I still have to get the hang of this taking video thing. Um… Enjoy and remember that I didn’t go into broadcast journalism for VERY GOOD REASONS.